What is a Marketing Communications Strategy? What is marketing communications strategy? Marketing communications strategy is the strategy used by a company or individual to reach their target market through various types of communication. It includes your message (what is to be said), the medium (where it is to be said), and the target (to whom your message is reaching). You might be wondering: what’s a marketing communications strategy that always works, even without a budget? Easy: build relationships with journalists to get press coverage, guest posts, and backlinks. Marketing communications or Public Relations is the ‘Promotion’ bit of the “4P’s of marketing” you might have learned during your university days (product, place, price, promotion). Since “marketing communications strategy” is a mouthful, most people just shorten it to “Public Relations” which essentially uses online channels and software to identify relevant journalists, pitch them suitable stories and earn free media coverage. Usually, PR strategy means building top of mind awareness amongst your ideal customers about the product or offer. How you go about this will depend a lot on your experience, industry, and budget. If your marketing plan has a budget of a million dollars to spare, you can reach out to your target market with a promotional mix that includes TV or Facebook ads. However, if you’re like most entrepreneurs, you want to promote your business without breaking the bank. And there is no better way do that than by managing your own PR campaign internally without retaining the services of a media relations company or a full-service marketing company. Wait, do you mean “free as in ‘free lunch”? Exactly! If you apply the methods in this post to your own marketing communications strategy, you’ll learn how to build lasting relationships with journalists and influencers, get free press, and acquire more customers through a sustainable organic approach. Anyone from your team can easily play the role of a marketing communications manager. You don’t even need to hire a dedicated marketing communications specialist! As I mentioned earlier, marketing communications strategy defines the entire range of activities you will do to market your products. This includes everything from paid marketing to media relations (PR). Brand alignment: Whatever marketing channel you choose should have the same brand perception as yours. For example, if you sell luxury watches, build relationships with journalists from TIME magazine, not those writing in your local newspaper (unless you live in the Hamptons!). Customer alignment: Follow the oldest rule in marketing – ‘be where your customers already are’. Pick channels where your consumers are already active. If you’re targeting younger millennials, advertise on social media platforms like Instagram, not Facebook, and certainly not day-time TV! Budget alignment: Choose a marketing channel that fits your budget (obviously). If you don’t have a budget, getting a print ad in WSJ will be out of your reach. But perhaps you can get a free press mention on WSJ’s website by reaching out to the journalists (as I’ll show you below). Any large company’s marketing plan will have several campaigns on multiple channels simultaneously. The combination of all these channels – PPC, social media, advertising on TV, print, radio, etc. – is called the “marketing mix” of your marketing communications strategy. Smaller businesses, however, usually stick to one or two marketing channels to reach their target customers. Else you risk diluting your budget and focus. Keeping the above principles in mind, you should create an annual or bi-annual Integrated Marketing Communications Strategy (IMC). Here are the key steps to follow. Before you can create a strategic communications plan, you need to understand your target audience. Any marketing communications plan has to be formulated for a specific group of target customers. Your IMC has to define the needs and characteristics of this target audience. What needs do most of your customers have in common? These consumer insights are crucial for creating highly targeted marketing messages that your persona can truly relate to. Your integrated marketing communications plan should always follow an outside-in approach, i.e. be centered around extensive customer analysis. You should invest time to stay in touch with shifting customer needs even if you are doing business-to-business marketing and you think you already know your customers very well. Avoid using an inside-out approach which does not invest sufficient resources in researching and analyzing customers. A marketing communication mix based on insufficient research is bound to be flawed. Your USP is the foundation of your integrated marketing communications plan. The USP should be reflected in every message your brand sends out across all communication channels, whether it’s for PR, sales or content marketing. A clear USP will ensure that your brands messaging is clear, consistent and recognizable. It will also help you in crafting compelling media pitches. Why will a consumer choose you over a competitor company? Survey your existing customers about their purchase intention. Understand the rationale behind the decision-making process of your typical consumer. Marketing communications mix is the combination of channels you use to reach out to potential customers. Large corporations would have dedicated teams within their marketing/sales division to take care of each of these activities. However a startup or small business would have to choose only two or three of these marketing strategies as part of their communication process. As I mentioned before, the most budget-friendly channel that drives the maximum results is Public Relations. Branding is a vital part of your IMC. It broadly includes two things. business cards and so on. However, at a deeper level, branding is about the core identity of your company. It’s about what you stand for, and what you want people to recognize you as. For example, Apple’s branding is all about cutting edge but extremely user-friendly technology. This identity should be a part of every marketing communication your organization sends out whether it’s for PR outreach, a new advertising plan for a sales promotion or a personal selling campaign. Once you have decided on your promotional mix for your integrated marketing communications plan, you also need to plan the right set of success metrics for all communication channels. You will have to define metrics for each component of your communication mix. These metrics will determine whether you are fulfilling the key objectives of your communications plans. So make sure you pick metrics that actually drive value to your business, irrespective of what communication platforms you are measuring. For example, just because you are measuring social media, don’t use vanity metrics such as likes or retweets. Instead, go for website visits, leads acquired, etc. that indicate a higher degree of engagement by your target audiences and potential consumers. Once your plan for you marketing communication process is ready, you execute these marketing strategies, measure your success and modify your approach as necessary. If you’re a small company or startup, your marketing communications strategy will be vastly different from that of a large business. The P&Gs and IBMs of the world can be on multiple channels and communication platforms at once – online and offline advertising, public relations, social media etc. For you, however, being effective and cost–effective matter the most. And one of the most effective marketing strategies is to get free press for your business. This is the process of approaching influencers, journalists, and bloggers with stories about your company, your brand, and your products. Depending on the target and your own goals, you can often turn this outreach into guest spots on high-value publications, press mentions, and interviews – all things crucial for a successful marketing communications strategy. A story in a top media outlet is an excellent way to get in front of a vast number of potential customers. It can work wonders for your brand awareness, generate website visitors, signups and backlinks – all objectives you would have expected from advertising or any other paid marketing channel. Creating a story that works on your target channel (press) and aligns with your brand image. The story should address the interests of your ideal customers. I’ll cover these steps in detail below. Just as “product-market” fit is important for a business, “message-journalist” fit is crucial for successful marketing. The angle or “spin” you use on a message will decide its audience. Finding the right journalists or influencers, therefore, should be a key part of your marketing communications strategy. I made JustReachOut precisely for this purpose. 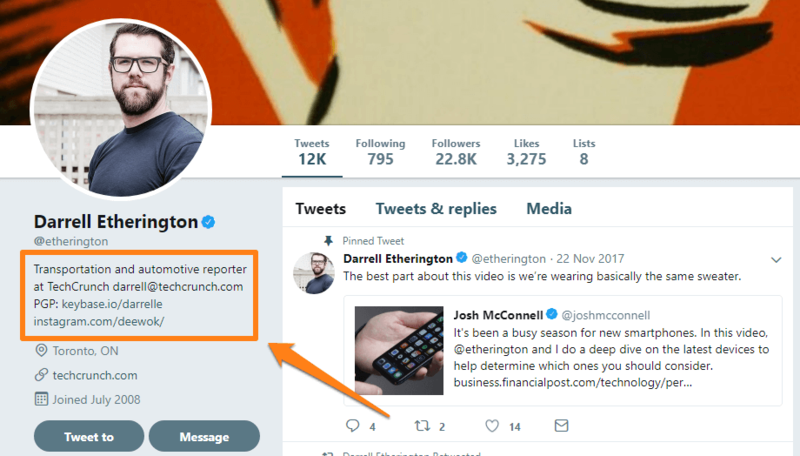 Get in touch with me to see how we can help you achieve “message-journalist” fit. Implement this tactic right now with our software. Your marketing message describes what you have to say and how you say it. That is, it includes both the content of your story and its ‘spin’ or ‘angle’. Both of these elements are crucial for virtually any communications plan or marketing activity. A small change in your marketing message completely changes how and where you market it. The core content of all these three messages is the same – “everyone needs plain white tees”. However, the “spin” on them is radically different. This impacts where and to whom you promote the message. If you emphasize the low cost of your products, you’ll target press outlets that cater to cost-conscious customers. Instead, if you emphasize quality, you’ll target outlets that cater to luxury buyers. Creating a compelling marketing message requires a deep understanding of your own product, target customers, and brand values. You’ll have to introspect. Ask yourself: what is my product about? Who would buy it? What kind of brand do I want to create? 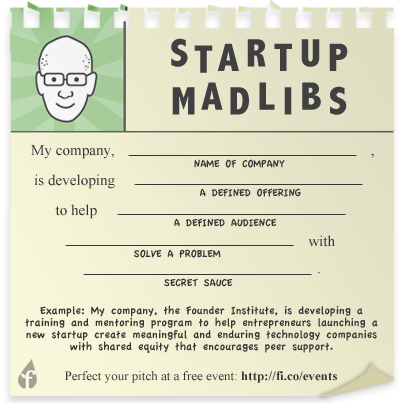 One great way to condense this marketing message into a press-ready pitch is to use the ‘mad libs’ approach outlined by the Founder’s Institute. This involves defining the company, its product, target audience, the problem it solves, and how it solves it – all condensed into a single sentence (similar to a sales elevator pitch). Never use jargon or buzzwords in your one-sentence pitch. If your target audience – journalists, bloggers, influencers – have never heard the term (or heard it a billion times), you don’t want it in the pitch. Doing this will ensure that your brand has have a short, snappy marketing message with clear content and a well-defined angle. This will make the entire process to get press much easier. The next step, as you’ll learn below, is to find the right targets for this marketing message. Getting press today is very different from what it used to be two decades ago. For one, there were no “influencers” and “bloggers” in the 1990s. Marketing campaigns were about pitching journalists in the mainstream media and hoped they would mention you in their newspapers, radio stations, and TV shows. Today, however, anyone with an audience can be a “press target”. A small blogger with a few thousand engaged followers is as legitimate a target as a big publication with a large but disengaged audience. Your search for press targets should take this into account. 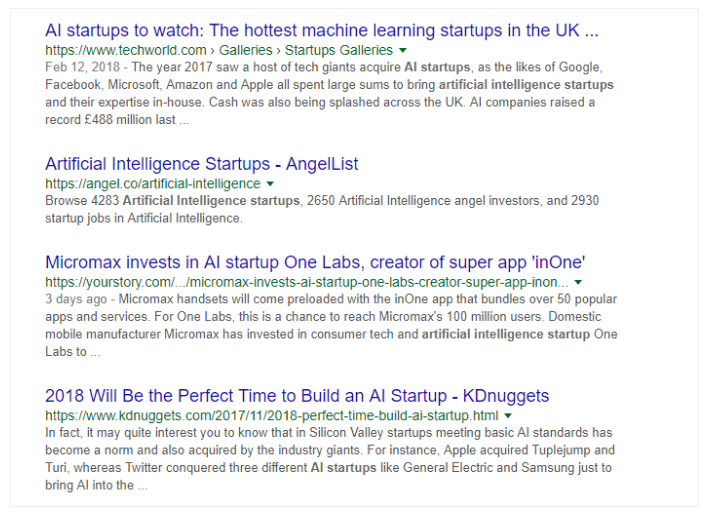 If someone has linked to similar content in the past, there is a good chance they’ll write about it again. Start your search by finding a piece of content similar to yours. A Google search is a good place to go. Look for keywords that describe your product, business or content. All of these would be good targets for outreach. You can find even more targets by finding sites that have linked to the stories above. Add these to your list of prospects. If you’re promoting visual assets such as infographics, one of the best ways to find prospects is to look for media outlets and blogs that have linked to similar infographics in the past. Start by going to Pinterest and looking for your target keywords + infographic. Once you find an infographic, right click on it and select “Search Google for this image”. This will open Google’s reverse search engine and show you everyone that has linked to the image. 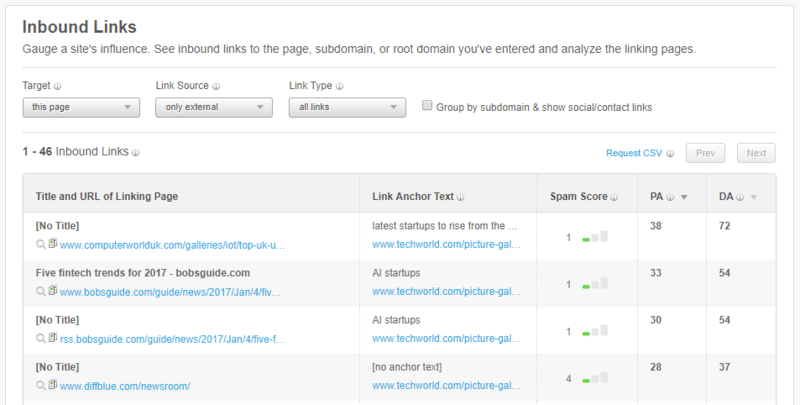 All of these are great targets for getting backlinks and press. Crunchbase is a massive database of startups. It is also one of the most overlooked communication tools for finding media targets. For large companies, this database is updated very regularly so you can get a lot of prospects. You can also use it to see the different approaches you can take for reaching out to different media outlets. Shameless plug, but JustReachOut is the tool I made to solve this exact problem. It does all the media opportunities searching work for you so you can focus on the outreach and relationship building. To use it, just search for your primary keyword. You’ll see a list of journalists who’ve written about the topic recently. Hit the ‘Send Email Pitch’ button and you’ll see their email details as well. JustReachOut works better than the other approaches since it focuses on journalists and influencers, not publications. It also dramatically cuts down your effort by showing you email addresses and helping you craft a pitch. If you’ve ever done any sort of outreach, you’ll know that finding press targets and looking up their email addresses takes a ton of time. If you want to personalize your message – crucial for improving response rates – you’ll also have to keep track of what they wrote about recently. I made Just Reach Out keeping these exact requirements in mind. You get all the essential data you need to pitch journalists, along with ready-made pitches. Nothing more, nothing less. There are a number of other less effective tactics for finding press targets. I covered some of them earlier in my post on how to pitch journalists. Once you have your list of prospects, find their email addresses. Here’s a detailed post on how to find anyone’s email. Next comes the most important part of getting press: building relationships and pitching your story. The public relations field is a built on relationships. You might have seen the stereotype in movies – a busy PR person glued to the phone, thumbing through a Rolodex thicker than two packs of cards. The reality isn’t far from the truth (though emails have replaced phones and CRMs have replaced Rolodexes). Getting the word out to journalists and influencers is still all about relationships in any marketing communications strategy. A successful marketing communications specialist builds up these relationships over years. As an entrepreneur, you are an unknown quantity to any journalist, influencer, or investor. You might have the best cold email pitches in the world, but since they don’t know you, they’re unlikely to respond. You’ll also find that the top journalists almost never respond to unsolicited cold emails. You might get a response from DavesNewTechBlog.com, but if you want to land on TechCrunch, you’ll have to be familiar to the journalist. It’s not that journalists and influencers aren’t nice people. They’re just too bombarded with emails. As Fractl’s study pointed out, most journalists get more than 100 pitches per day. 70% of journalists also prefer collaborating on a story rather than be pitched something fully baked. Essentially, this means that you can’t simply send out cold pitches to top journalists. It’s far less effective than sending cold sales emails. To do both of these, you have to do one thing. You guessed it: build relationships. This single rule should be the guiding force in your marketing communications strategy. All your interactions with journalists, bloggers, influencers, investors, prospective customers, etc. should follow it. In psychology, the “principle of reciprocity” – that you do unto others as they do to you – is even considered one of the pillars of persuasion. The more you give people something they want, the more they’re likely to do what you ask of them (in our case, publish your story). Taking this into account is vital when you are building your marketing communication process. 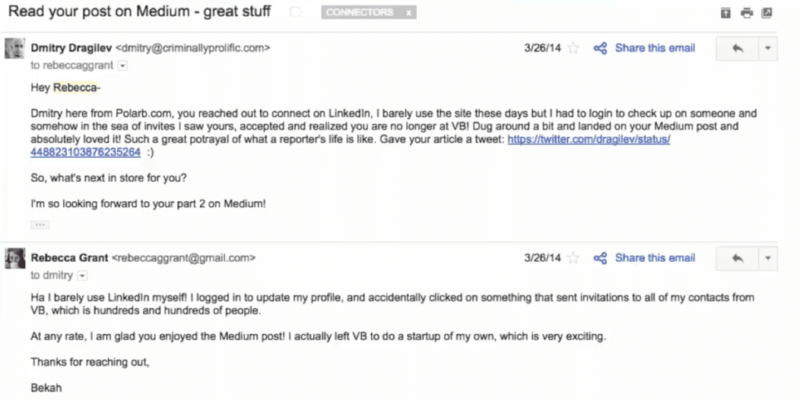 Would you use the same approach to reach out to Tim Ferriss as you would for a no-name blogger? High-priority: These are your ‘whales’ – high-value targets that have massive influence and reach. Think of influencers like Gary Vaynerchuk and journalists like TechCrunch’s Matt Burns. Mid-priority: These are prospects that would be known names to people within the industry, but don’t have the name recognition of the ‘whales’ above. Usually, they run websites with moderate authority but have a growing audience. More importantly, they’re often followed by high-priority targets. Low-priority: These are targets with new-ish websites and limited audiences. They don’t have a lot of impact on getting you ‘viral’ but can act as a source of links and social proof. Segmentation will help you align your efforts with the quality of the target. Create a marketing communication plan focused on maximizing the time and effort on high-priority targets. Use scalable tactics for reaching out to low-priority targets. Sending personalized emails is the number one thing you can do to build relationships. By the way, most journalists prefer not to be pitched on Twitter or over the phone. Medial relations professionals who stick to email and avoid other communication tools achieve the highest response rates. The problem is that personalization isn’t scalable. One solution is to personalize according to the target’s priority. For your high-priority targets, always use a personalized conversation starter. This should be a unique, handwritten email that initiates a conversation by giving something of value without any ask. The goal of this ‘conversation starter’ is to establish yourself on the prospect’s radar. The ‘ask’ will come later. For mid-priority targets, throwing in a single personalized line at the start of the pitch is often enough. 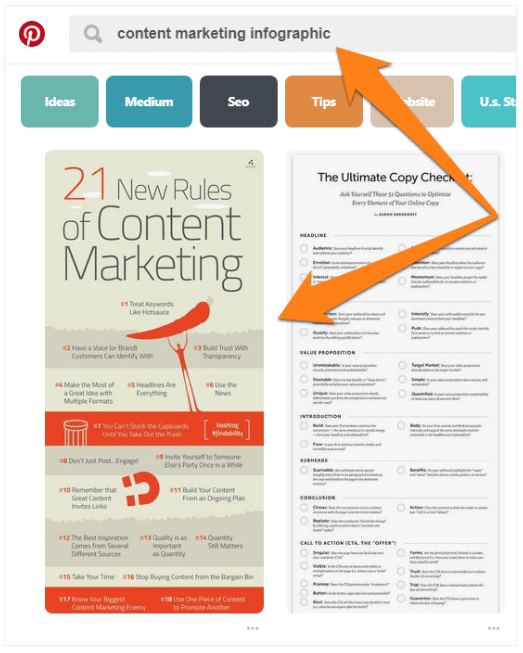 This helps you stand out from the army of PR agents sending out emails from templates. The rest of the email can be from a template and should include an ask. For low-priority targets, personalize the name and, if possible, their website name. The rest of the email can just be a template. It’s also a good practice to work your way up from low/mid-priority targets to high-priority ones. You can use your coverage in lower priority targets to build social proof and reel in bigger publications. This “snowball” effect is a big part of any successful marketing communications strategy. You might now be wondering: how do I start conversations and offer value to journalists? I’ll share four approaches below. As I said earlier, the best way to build relationships is to give your targets something they value. Journalists live and breathe content. Any writer who cares about his work likely scours the internet for interesting stories and useful content. If you can point the journalist to content that is relevant to their needs, they’ll appreciate it. To do this, you need to do some quick research on the journalist’s interests and recent stories. This means that Darrell will likely be interested in stories related to transportation. You can also go through their most recent stories to see what kind of topics they’ve been interested in lately. If you send Darrell a story about Musk’s flamethrowers or a flying car, there’s a chance he’ll find it useful, getting you one step closer to establishing a relationship. It’s important that you do this without any expectations. Don’t have an ask; just share good content. “Giving” should be the cornerstone of your marketing communications strategy. Don’t try to sneak in a link to content you created either. There will be a time for self-promotion later; for now, just be generous by sharing quality content. If you’re going to share content with journalists, pick up something that is both substantial and not easy to find. Don’t just send them the latest article you saw on NYTimes; chances are, they’ve seen it already. Keep a list of top websites that regularly feature content from your journalist’s industry. 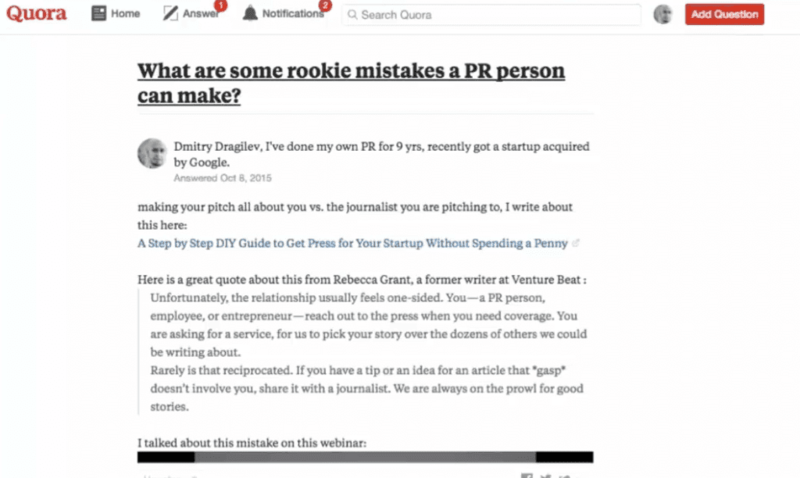 If you’re targeting business bloggers, for instance, you might share something from HBR.org. For best results, tie the content to what the journalist wrote about recently. A list of their most recently published pieces – as shown on Just Reach Out – can help. A surefire way to hook in an influencer is to give them free exposure. However, most marketers mess this up by writing about the influencer on their own blog and sending them a link to it. While they’ll likely be chuffed to see their name on your site, this approach has an element of selfishness to it. There is an expectation that they’ll have to promote your website in exchange for the mention. The trick is to be generous by giving them exposure on sites that a) you don’t control, and b) have a large audience. And one of the best sites to do this is Quora. Search for your target keyword on Quora. Look for a question that is fairly open-ended, yet specific enough to invite expert opinion. Next, write a detailed answer to the question. Most importantly, include a quote or reference to the influencer you’re trying to target. This approach works better than simply dropping the influencer’s name in your own blog post. It shows that you care enough about their work to not only read it, but to also promote it on a platform you don’t even own. The result is a solid foundation for building a relationship as part of your marketing communications strategy. Journalists love data, especially if it can be used to support something they’ve written about earlier. If your organisation has some unique data or insights, sharing it with a journalist or influencer is a great way to get an “in”. The trick to make this work is to tie the data to something they covered recently. If they wrote about poor conversion rates of outreach campaigns, and you have your own data showing otherwise, share it with them. But what if you don’t have data of your own? In that case, you can create unique content specifically for the influencer. I used this tactic extensively to promote Polar. We created unique polls bloggers could plug into their recent posts to spur engagement. Notice how I closed the email with a question? That’s a great way to get a response. What if instead of pitching journalists, you could get them to pitch you instead? Sounds impossible, but that’s precisely what HARO (Help A Reporter Out) does. HARO makes the marketing communication process easier by connecting journalists with sources. Every day, it sends out an email with a list of requirements from different journalists. Sources who fit their requirements can jump in and leave a response. If you had a blockchain product, this would be some of the easiest press you could ever get. The problem with HARO is that it queries can be hard to find. It is not searchable; you have to ask your marketing communications manager to keep an eye out for the newsletters they send twice a day. To solve this problem, I added a HARO search engine to JustReachOut. Instead of digging through newsletters, just enter your target keyword and find relevant opportunities. This makes the entire marketing communications process drastically easy and gets your organization into some high-profile media publications. So do try to include HARO as one of your marketing communication tools. “Be where your customers already are” is Business 101, and it applies equally to PR. Be where journalists are already asking questions. In our case, it’s HARO. Digging through HARO’s lengthy twice-a-day emails, however, can get tiring very quickly. So we incorporated a HARO search engine in Just Reach Out to make the process much more streamlined. If you’ve put in the hard work and built relationships with journalists as part of your marketing communications strategy, you’re already far ahead of the competition. You’ll find that it’s significantly easier to get people to respond to you if you’ve communicated with them before. For one, instead of sending a fresh email, you can simply reply to your older conversation thread. When they see that you’ve spoken to them earlier, it’s guaranteed that they’ll at least look. Two, there is the principle of reciprocity at play. If you’ve been nice to them in the past, there is an implicit obligation on them to return the favor. If your pitch is good and of interest to them, most will happily respond. The best part about this approach is that your pitch doesn’t have to be perfect. Marketers spend hours following cold email pitch tips, but if your targets have already warmed up, you don’t have to use any clever “hacks”. Of course, this doesn’t mean that you can send a lazy pitch. You should still be succinct, offer value, and use a strong subject line. Follow the tips in this post to learn how to create a compelling pitch to journalists and influencers. Out of all marketing and communications approaches, there’s nothing as valuable as these press relationships! Over time, these relationships will get you valuable media coverage that will far outweigh what you can achieve even with a huge advertising budget. After all, a story in a top outlet brings far more credibility than any self-promotional advertising campaign – whether it’s a TV ad or a direct mail campaign. It’s the best marketing investment you will ever make! Getting press, backlinks, and guest blogging opportunities should be the cornerstone of any startup’s marketing communications strategy. It’s way more cost-effective than advertising, scalable, and helps you build the long-term relationships necessary for promoting your business. What kind of marketing communications strategy do you use? Let me know in the comments below! 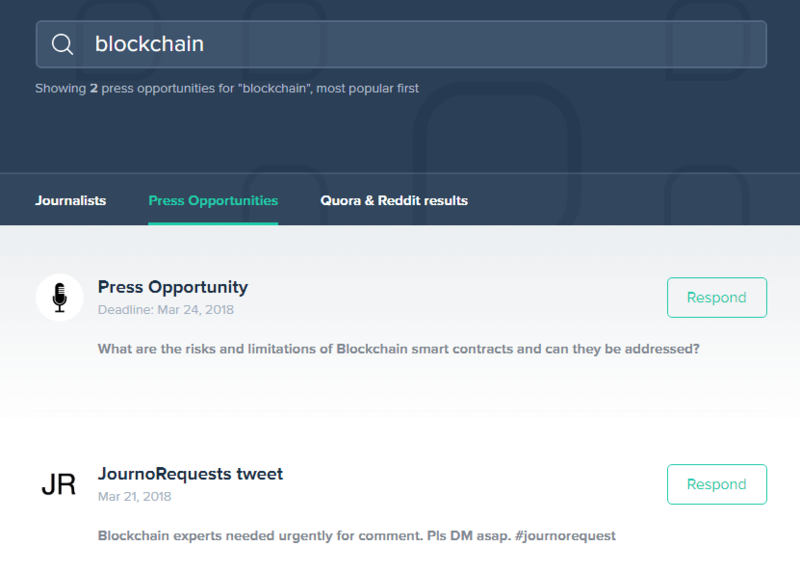 Curious is HelpAReporter a free service? It sure is, you just need to sign up for the email newsletters that’s all. I’ve never thought of promoting a journalist or an influencer on Quora as a way to build a relationship with them, loved this idea, going to try! Thanks for the post Dmitry, this really helps. The thing I have most trouble with usually is how to pitch myself or my business without mentioning what I do. How do come up with stories which relate to what I do but do not promote me directly. You know what I mean? I hear you! I was in your shoes before I started JustReachOut.io You are speaking the pain point of most of our customers! It’s tough when you don’t know how to start conversations with influencers and journalists. Journalists are people too and building relationships with them and giving them value first is the best way to get exposure from them in the long run. Hopefully some of the tactics in this post give you ideas on how to start doing this on a budget right now. Thanks, great post, i like the examples you provided of starting conversations with journalists, this is the part I struggle with most, I generally just send a press release out and don’t typically think about “chatting with them”. This part of the post really got me thinking about “relationship building” more then just pitching them. Glad I could help and share some of my tactics with you, absolutely, building a relationship with them is vital in this day and age so you can stand out from the rest. Glad my post helped you change your approach. Let me know if you need more examples to implement some of this stuff or just have questions! Really enjoyed your article. I subscribed to Quora (taking a suggestion from you) and couldn’t see its value until I read this article. I “get it” now. I am a clinical psychologist turned professional chef. I teach cooking classes and am developing a “theory” associated with the positive psychological impact of cooking, cooking together and then eating that meal together. Happy to help Candance, I love using Quora this way. This is such a cool concept – the girl can cook school! My wife and I love to cook, and our kids do as well. We love it! Thanks! I think it’s cool, too! I have had my school for almost 10 years. I was a restaurant chef for awhile before that. And, got into the food industry as a personal chef. Really neat concept! How do you get your clients mainly? Word of mouth? are you doing much marketing online? Thanks! It is primarily word of mouth. I have tried print but not very effective. I have recently started working with a radio station and have a 15 second video on their website. It has only been running since the end of February so not sure about the ROI on it. I use social media (the usual suspects, FB, Insta, not a lot of Twitter) and my website. I use Squarespace for my site. Thanks for sharing such an informative post. I’d love to take you up on the offer to review some of my pitches. In the next comment, you will find two pitches for my yoga mat & apparel company, Apeiron Yoga. Fantastic article! Very long and insightful, where can I find more of your work? I bookmarked the site 🙂 I have to single out Quora advice as the best one. Thank you for the helpful tactics. It was really great and worthy article to go through. All your points are worth considering if one wants to improve their marketing communications. Again Thanks. First time reader, can’t believe I haven’t found you sooner. Really enjoyed reading this, as others have said you’ve given me some new ideas to try! Struggling with some of the headings you’ve got here so hopefully I can start improving following your advice. Also, love the layout by the way, having the table of contents on the left is very useful! Just subscribed as well. Thanks Andy, happy to hear you found the article useful. The trick is of course applying this stuff. 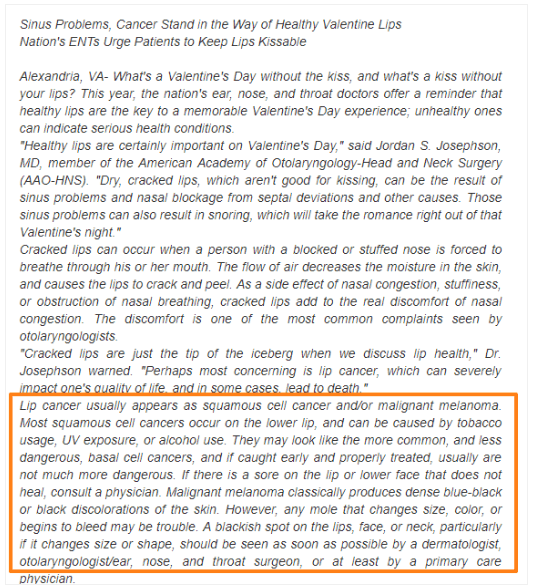 Let me know how it goes as you try to apply some of this stuff. Let me know any struggles you have along the way! Great write up. There are so many important factors to think about when creating an effective marketing communications strategy… makes my head spin. I wonder which one I should start with. Any advice on how to choose the right one to start with? Sure thing Gregg, good question. I’d start with something relatively simple such as answering press opportunities, then answering Quora questions, then maybe guest posting – that’s how I did it when I was starting up this blog and JustReachOut. Let me know if you still have questions on this, obviously there is not one size fits all here.